The Bangalore weave is a superbly stylish pick for a casual occasion. 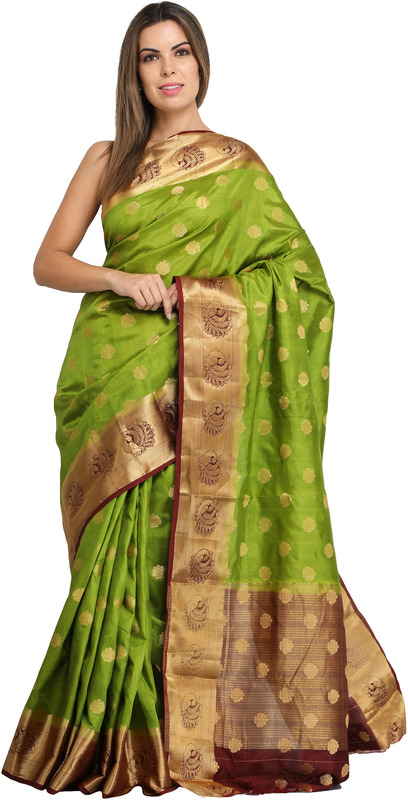 The fresh green of the base and the gracious gold of the border are characteristic of the vibrant colour palette of the South, which means that this is one saree you cannot go wrong with if ethnic is the look you want to carry. Note the luxuriant booties across the saree, woven onto the fabric using endemic techniques. 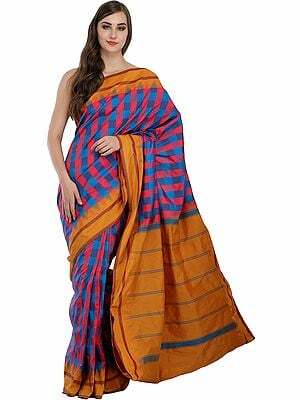 This saree would look lovely with hints of gold jewellery.